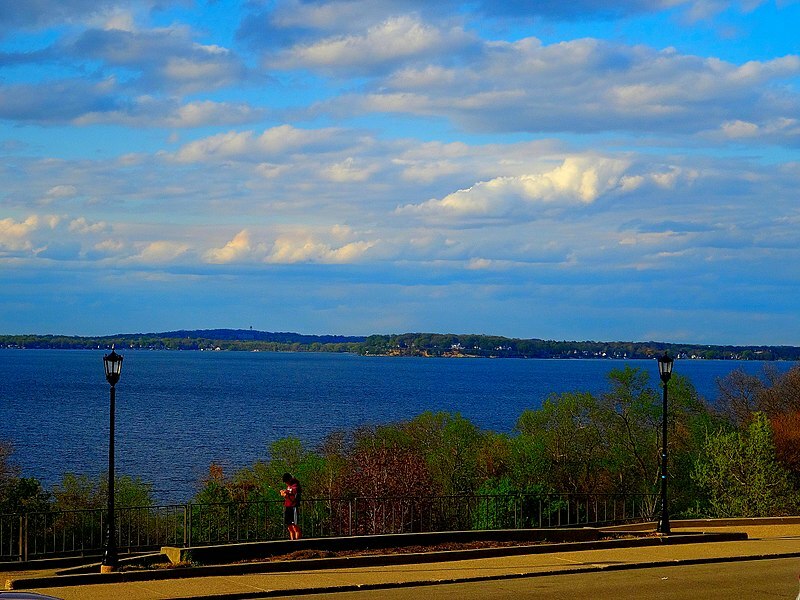 Dining on or near Lake Mendota offers excellent views and plenty to enjoy. Whether you want a romantic night out or you just want to enjoy the water while you eat, there's a great restaurant on Lake Mendota for you. Here's a look at some of the top choices if you want to dine on Lake Mendota. One of the top spots in Madison for the Summer is The Boathouse. It has been around for more than 75 years and locals flock here to enjoy the water views during the summer months. The Boathouse is located in the historic Langdon Building and offers excellent views of the lake. Enjoy plenty of great options on the menu and even arrive by boat at The Pier. This restaurant and bar are open from 11am to 11pm, Tuesday through Sunday. The kitchen closes at 10pm, however. Maybe the finest restaurant on Lake Mendota, The Statehouse offers an incredible dining experience. Enjoy some of the freshest dishes with plenty of choices ranging from house-made pasta to steak to fish and so much more. The Statehouse is open for breakfast, lunch, and dinner from 6:30am to 10pm daily. They serve breakfast until 11am, lunch from 11am to 2pm, Monday through Saturday and dinner every day from 5:30pm to 10pm. On Sundays, they offer breakfast from 6:30am to 9am and brunch from 9am to 2pm. A very famous choice open since 1966, Mariner's Inn offers great steaks and more. It's a setting unlike any other with excellent views and great food. Mariner's Inn offers happy hour from 4:30pm to 6pm, Monday through Friday and they are open seven days a week for dinner. They open at 5pm, Monday through Thursday and at 4:30pm, Friday through Sunday. Found along the Yahara River very close to Lake Mendota, The Nau-Ti-Gal Restaurant offers a casual choice for waterfront dining. They have been in business since 1982 and offer a variety of choices including fresh burgers, fish and more. The Nau-Ti Gal is open from 4pm to 1:30am, Tuesday through Thursday, from 11am to 1:30am on Friday, from 11am to 2am on Saturday and from 10am to 2pm on Sunday. Another good choice for those looking to dine on Lake Mendota, Captain Bill's offers a casual seafood restaurant. They have been open since 1993 and offer a great choice in Middleton. Captain Bill's opens at 4:30pm every day, except Mondays and they are open until 9pm every day except Friday and Saturday they are open until 10pm. The restaurant is closed on Mondays. If you want to dine on or near Lake Mendota, these restaurants are the very best choices you will find for waterfront dining.